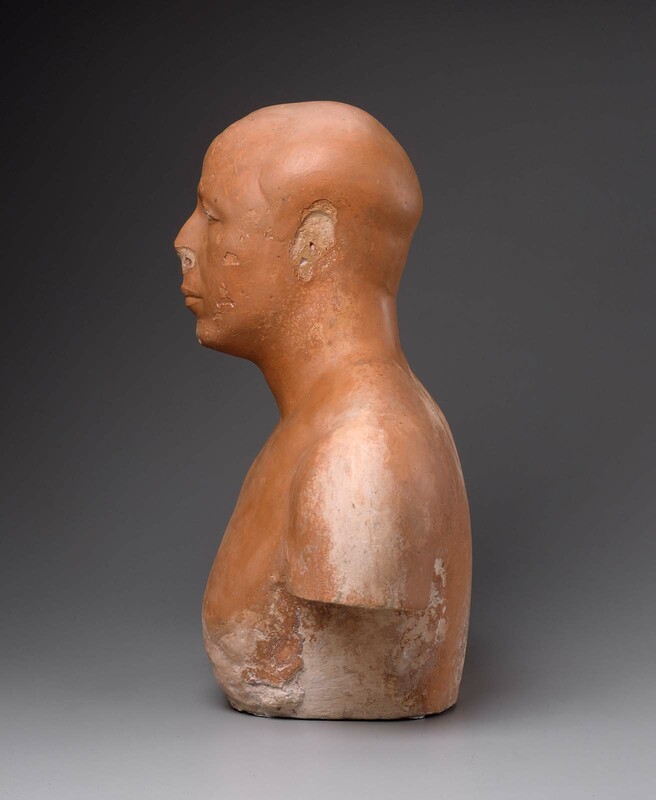 In ancient Egypt, artists almost never created true portraits. 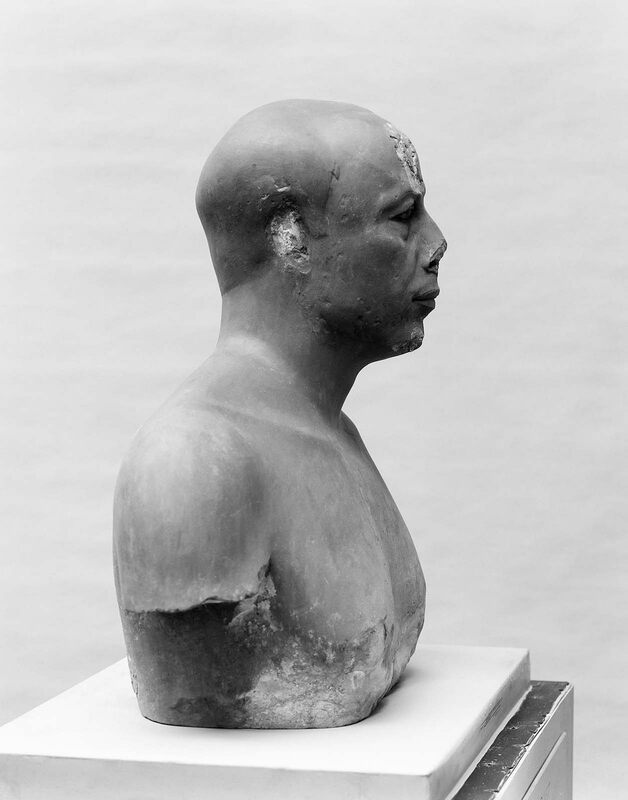 This bust of Ankhhaf, therefore, breaks the rule. It is made of limestone covered with a thin layer of plaster, into which details have been modeled by the hand of a master. Rather than a stylized representation, the face is of an individual. 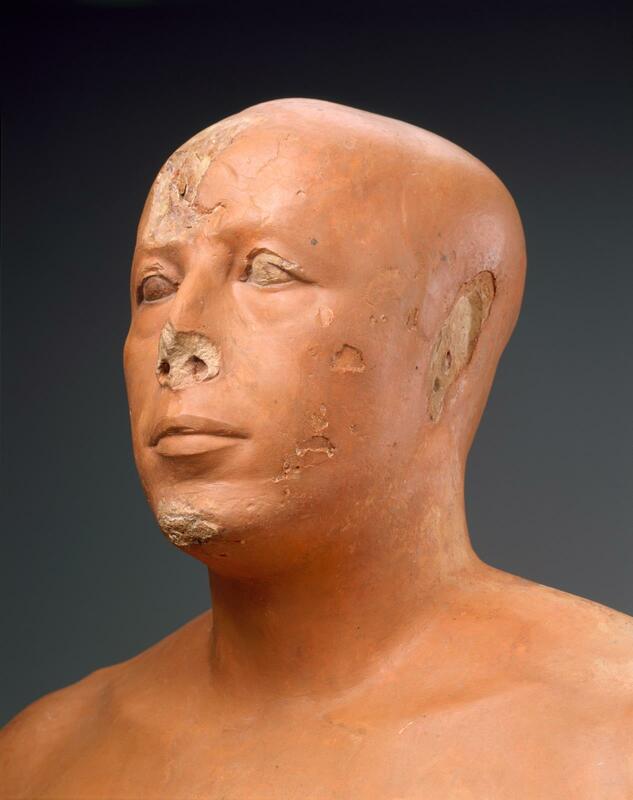 From inscriptions in his tomb, we know that Ankhhaf was the son of a king, probably Sneferu, brother of another, Khufu, and that he served Khafre as vizier and overseer of works. In this last capacity, he may have overseen the building of the second pyramid and carving of the sphinx. Ankhhaf’s features are those of a mature man. His skull shows a receding hairline. His eyelids droop slightly over eyes originally painted white with brown pupils. Puffy pouches are rendered underneath. Diagonal furrows set off a stern mouth. Apparently, he once had a short beard made from a separate piece of plaster. It was lost in antiquity, as were his ears. His gaze is that of a commanding and willful man, someone who was accustomed to having his orders obeyed. It was the way he wanted to be remembered for eternity. Ankhhaf’s mastaba was the largest in the great Eastern Cemetery at Giza. 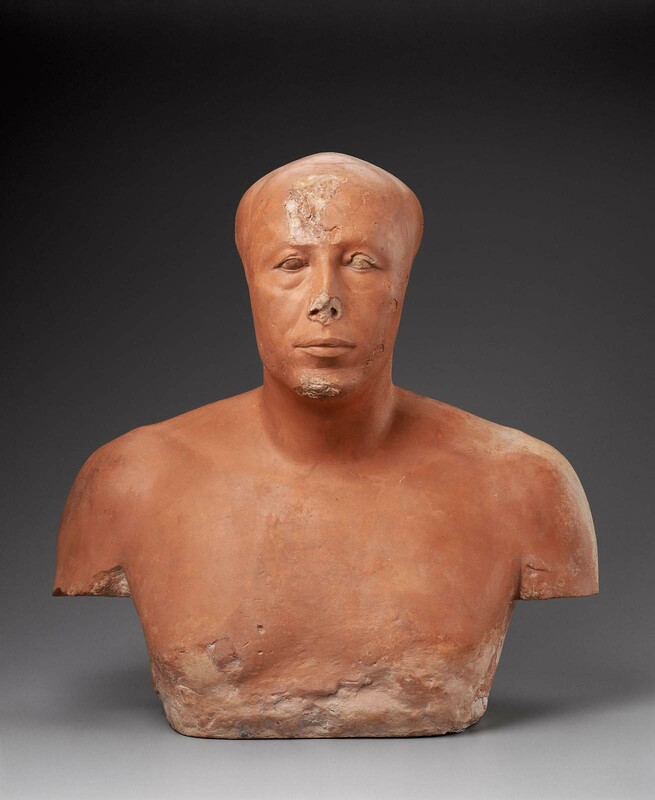 His bust was installed in a mudbrick chapel attached to the east side of the tomb and oriented so that it faced the chapel’s entryway. The chapel walls were covered in exquisitely modeled low relief. 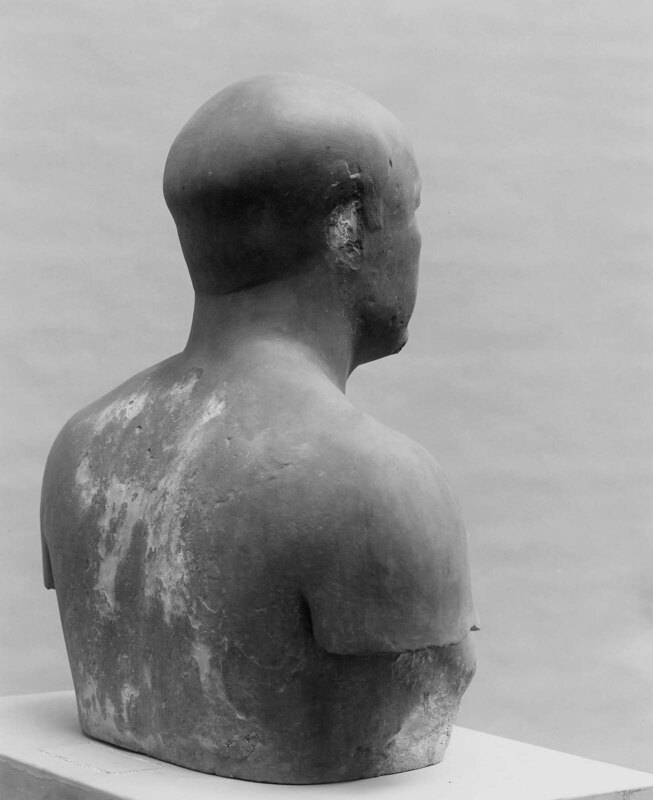 It has been suggested that Ankhhaf’s arms were sculpted on the low pedestal on which he sat, thereby making him appear even more lifelike. Passersby left more than ninety models of food and drink for Ankhhaf to enjoy in the afterlife. 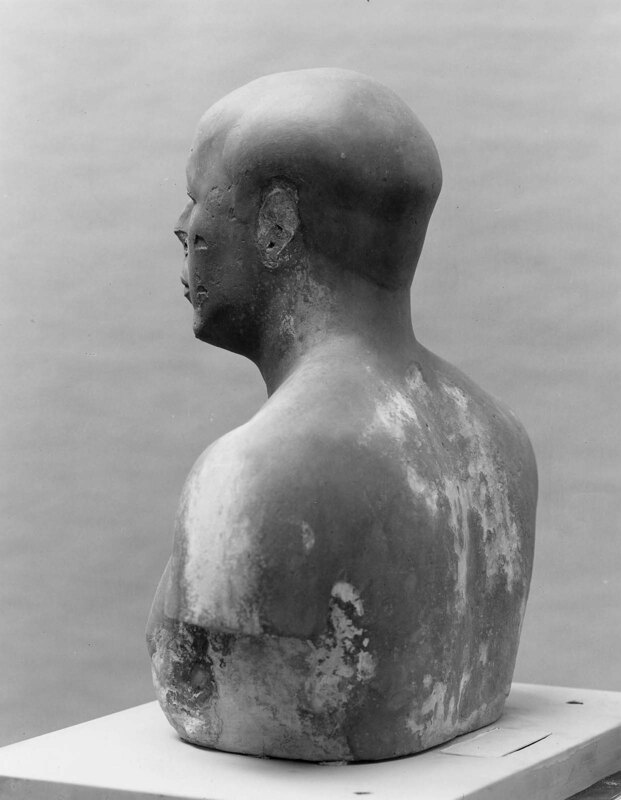 Ankhhaf is unique, and by the terms of the Museum’s contract with the Egyptian government, he should have gone to the Cairo Museum. 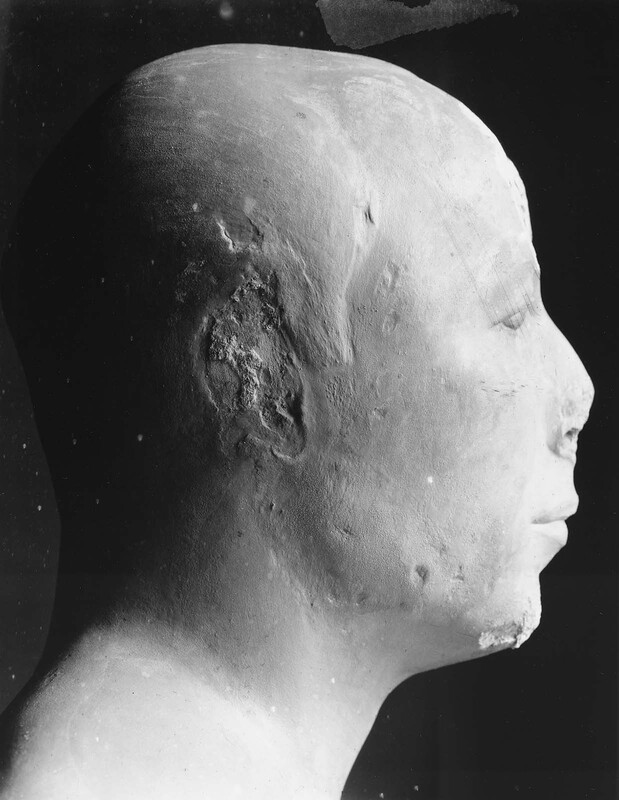 However, he was awarded to Boston by the Antiquities Service in gratitude for the Harvard-Boston Expedition’s painstaking work to excavate and restore objects from the tomb of Queen Hetepheres. From Giza, tomb G 7510. 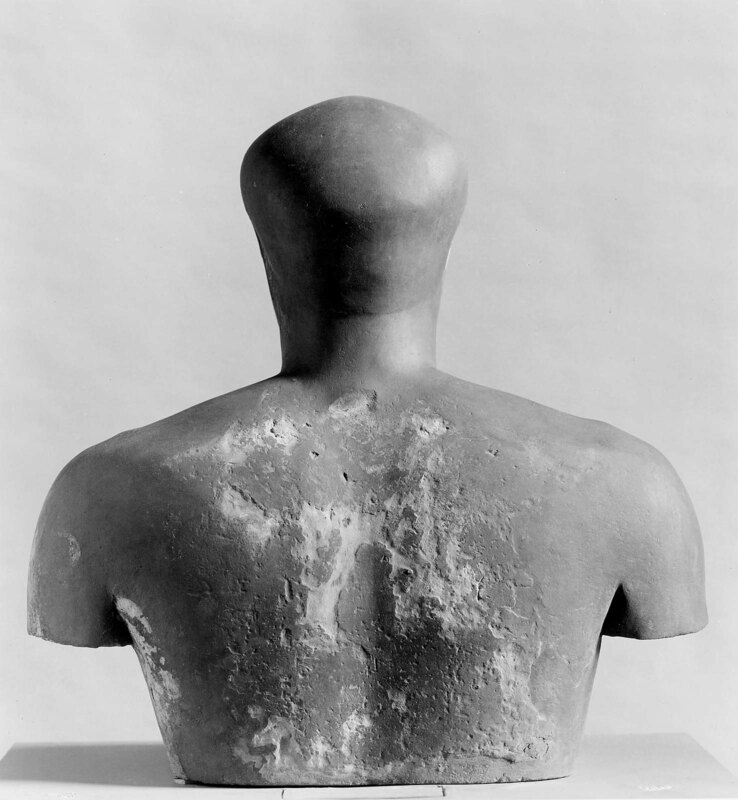 1925: excavated by the Harvard University-Boston Museum of Fine Arts Expedition; 1927: assigned to the MFA in the division of finds by the government of Egypt.